The real mechanisms of intensive exercise training-induced energy efficiency have not yet been well examined. 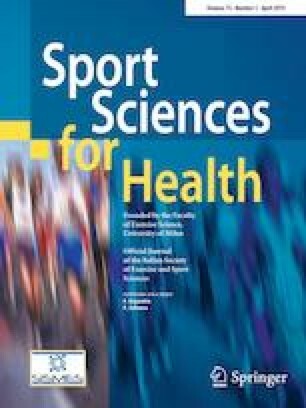 Therefore, the aim of the present study was to investigate the effects of sprint interval training (SIT) on gene expression of uncoupling proteins (UCPs) and endothelial nitric oxide synthase (eNOS). For this purpose, 16 Albino Wistar rats (250–300 g) were randomly divided into equal groups of control and sprint training. The animals run on treadmill for 10 weeks, 5 days per week at intensity corresponding to 90–95% maximal oxygen consumption. The gene expression of UCP2, UCP3 and eNOS was analyzed by RT-PCR method in hearts. The data were analyzed by independent samples T test at P < 0.05 level. Sprint interval training significantly decreased mRNA expression of UCP2 (t14 = 4.818, P = 0.001) and UCP3 (t14 = 4.620, P = 0.001) in cardiac muscle of rats. In contrast, mRNA expression of eNOS in cardiac muscle significantly increased following sprint interval training (t14 = 7.967, P = 0.001). This study elucidates that SIT through reduction in gene expression of uncoupling proteins can improve energy efficiency. But, more studies are needed to confirm this hypothesis. We thank the staff of the animal laboratory at Baqiyatallah University of Medical Sciences for their valuable assistance with us in carrying out the exercise protocols and animal surgery. All methods performed in the study were in accordance with ethical standards of the national research committee and with the 1964 Helsinki Declaration. There is no informed consent for this study since the study was not conducted on humans.